My name's Jan and this is my website all about Estepona in Spain. Register now for free to talk about Introduce yourselves in Estepona and much more! Looking for a savvy professional agent to help us find a property with 120,000 budget. We are new to this forum (having been lurking for a couple of weeks) and would like to introduce ourselves. We have made contact with a couple of agents via the net and frankly we are not impressed. Perhaps I should say that in a past business life we were property agents and developers in the Costa Brava for twenty years so although we have been out of the business for many years we do have some insight and knowledge. My reason for posting here is that I'd like to connect with a good professional agent who can take our instructions and source properties for us. We are returning to the area in March and will wish to view then. If you think you can help us please pm me and I'll send you a full spec of what we are looking for. and see if anything interests you. You may get Agents contacting you from this posting but please check them out online first to see any reviews ...or even if they exist online. I personally would not go with any Agent who didn't have a good website and online presence. We have contacted several agents via the net but maybe we are just unlucky but the quality of replies from the few who have replied were poor to say the least this doesn't fill us with confidence with working with these people. Mostly our details of what we are seeking were totally ignored and we were sent either a computer generated reply or details of properties in areas we have no interest in, and number of bedrooms etc. that matched nothing we are looking for. Budgets were totally ignored. We have searched the net for properties and found several of interest and we wanted a local agent to give us their opinion, before flying in to view. An interesting fact is the replies I've received from this posting ( most by pm) have been from people who have bought or who are living in the area. Not a single agent has replied. Makes you think!! I'm pleased to hear that. It's so much better to have recommendations from home owners or home renters who have used certain agents and are pleased with them. I would rather not use an Agent who contacted me through a forum but use an Agent who I contacted myself. I think the problem you found of details of what you were seeking totally ignored and being sent computer generated reply or details of properties in areas you had no interest in, wrong number of bedrooms and properties that matched nothing you are looking for, is endemic in the Estate Agency trade, even in the UK. When I was acting the 'property hunter' for both my adult children in the last few years, I had the same thing. If Agents would only be honest and say they have nothing to suit the requirements at present, they would be much more respected. That's why I ended up only using Rightmove, Zoopla etc religiously until I found properties to view. Thanks for the reply, You are totally correct in your observations. We have decided to come over with a short list of properties we have self sourced from the net look at them from the outside and check out the area, then if they are of interest we will contact an agent to view. I have just bought an apartment in Benalmedina and like you I scouted through the internet and find a few that I wanted to see when I came over. I found that many Agents are offering the same properties as well as the ones you may select. However most have access to the same properties on line so you have to insist on seeing where each of them want to take you before agreeing to go out with them. After a few mishaps however I used a Company called Estates in the Sun who were pretty good there. The guy that took me round was called Drew and can be contacted on [email protected] . Drew was very helpful and even found a very good Solicitor to do all the legal stuff as well. You may have been lucky but it is a well know fact that it not advisable at all to use a Solicitor recommended by any Estate agent as it is a conflict of interest. Having an independant Solicitor means they are working in your interest only. Agents don't 'find' a solicitor for you, they have a Solicitor who works for them and then they 'recommended" them and alledgedly will get a commission for doing so. Not a good thing! 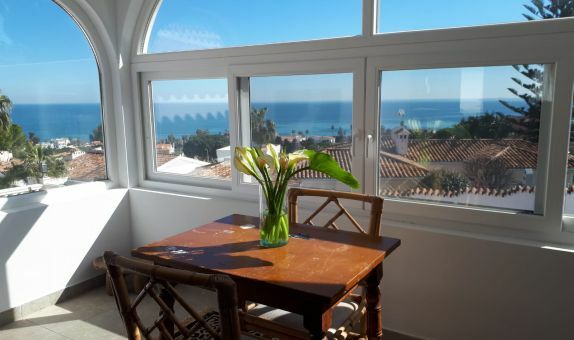 If you need to find an apartment in Estepona area while you are looking for an house/apartment pls. look at my website http://www.jydedeal.dk/costa-del-sol-ferieboliger, but unfunately only in Danish, but prices you can understand. You are always welcome message me.